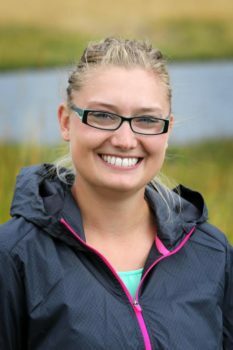 I am Veronica Urbanczyk, currently serving as the Society for Range Management-Young Professionals Conclave Vice-President. My position at Texas Tech University is a graduate research assistant pursuing my master’s degree in Wildlife Aquatic Wildland Science Management and am a part of the TTU Quail Tech Alliance Research Team as a wildlife biologist and range scientist. My research is focused on studying northern bobwhite quail in measuring and observing “Factors that Influence Chick Survival” including resource use, predator activity, weather, and insect abundance. I have completed two field seasons during an 9-month period from January to September of 2017&2018 and am currently attending classes and in the progress of writing my thesis. At Texas A&M University I received my bachelor’s degree in Science, majoring in Rangeland Ecology and Management with a double major in Wildlife and Fisheries Sciences. In previous summers, I have been given the opportunity to be a part of internships with TPWD at the Gus Engeling Wildlife Management Area in Tennessee Colony, Tx and on a private ranch operation at the O’Connor Brothers River Ranch in Refugio, Tx. Throughout my undergraduate career, I have been an Earth Team Volunteer with NRCS, volunteered with TPWD spotlight surveys, check stations, and youth shoot events along with remaining active with the Texas Brigades. My involvement at TAMU included serving as Vice President of Range Club in 2015-2016 along with participating on the Plant ID and URME Team for four years. Through the Society for Range Management professional organization I was the Student Conclave President in 2015-2016 and was the co-chair for the Young Professionals Conclave at Texas Section SRM from 2016-2017. 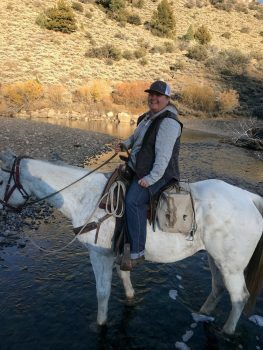 After I complete my education I plan on pursuing a career in natural resource management through employment with a private consulting agency or private ranch. My interest in rangeland ecology and management was sparked when I attended the Wyoming Resource Education Days Range Camp in high school. I then decided to major in Rangeland Ecology and Watershed Management at the University of Wyoming with a minor in Agricultural Business. I was blessed to intern on a long-term grazing study at the High Plains Grassland Research Station in Cheyenne, WY and Central Plains Experimental Range in Nunn, CO that turned into an opportunity for a graduate research program. 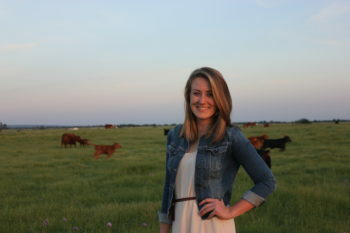 I am currently pursuing my Masters in Animal Science at the University of Wyoming, and leading efforts to answer the question, “Do steers with different genetics and origination environments (southeastern Nebraska, high-altitude Colorado, and local ranch raised) exhibit differences in grazing behavior, diet quality, species grazed, use of pastures, forage intake, weight gains, and changes in the rumen microbiome?” I hope to answer this question to improve the efficiency of beef production and lead into a career working with both livestock producers and land managers. 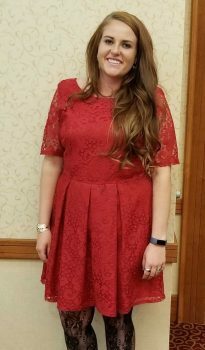 At the 2018 SRM meeting in Reno I was elected to serve as the Student Conclave Vice President. From my year of service, I became really passionate about gaining and retaining student membership as well as improve the network among students and professionals in the industry. I am excited to make the transition from a student member to a young professional serving as a member of the YPC officer team, and to continue my involvement within the Society for Range Management! 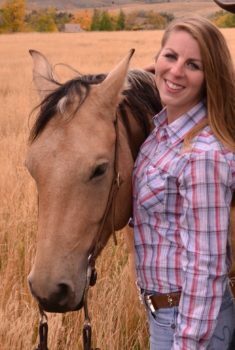 My interest in range began my senior year of high school when I realized that my two greatest passions, wildlife management & livestock operations, could be combined into one career field: rangeland ecology. I got involved with the Oklahoma State University range club my freshman year of undergrad and later became president of the club. It was through my university club that I was able to attend the National SRM Meeting and become involved with the parent society. I have served as both vice president & president for the SRM Student Conclave. SRM has benefitted my career by giving me leadership opportunities within my profession as well as providing national and international relationships that have aided in my professional development. Before and during my undergraduate education, I have worked for both private & corporate cattle companies, as a fishing guide, at a nature center, and as an OSU research technician. I am currently a M.S. candidate at Oklahoma State University. My research project is focused on vegetation response to prescribed fire and herbicide treatments across various ecosystems in Oklahoma and how those treatments will affect Northern Bobwhite use and densities. 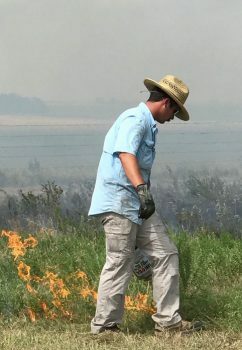 My career interests include prescribed fire, grazing behavior, grazing systems, grassland wildlife species, & landscape ecology. I enjoy breakfast food, fishing, hunting, and everything outdoors. My goals as YPC Treasurer are to increase our number of sponsors, increase our financial support, and effectively use our increase in funds to enrich and benefit the young professionals involved with SRM. I am Marissa Humphreys and while I am new both SRM and YPC, I look forward to serving as the Social Media/PR coordinator over the next year. 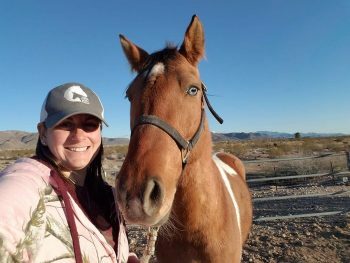 Currently, I am working as a Wild Horse and Burro Intern for Arizona Conservation Corps/Bureau of Land Management in Kingman, AZ while I finish up my Masters of Natural Resources through Oregon State University’s ecampus. My capstone project for my masters focuses on the public perceptions of wild horse and burro management, and how there is a disconnect between the message the management agencies promote versus what the public perceives. I grew up in Central Oregon, where my family raised and showed Peruvian horses. I have been riding horses since I was five years old, and starting showing Peruvians when I was about eleven. Since then I have won multiple regional and national championships in the US and Canada, and have passed on my passion of the Peruvian breed by teaching multiple clinics for junior riders. Within the last few years however I have fallen in love with the mustang breed, and recently adopted two rescue mustangs. Outside of work and school, I enjoy spending time with my horses, family and my two golden retrievers. Since, I recently moved to Arizona I have enjoyed exploring a new area and learning about how the rangelands are managed here compared to Oregon. In the future I hope to continue my career in the wild horse and burro field, or as a wildlife biologist. I look forward to working with all of you this year, and if you have any suggestions for the social media pages please feel free to let me know! I grew up in Arvada, Wyoming on a family owned cattle and sheep ranch. I grew up being heavily involved with livestock production and range management. I then attended Sheridan College in Northeast Wyoming where I took my first class in plant identification. It was during that semester that I officially became a plant nerd. Since then I have attended the University of Wyoming where I majored in Rangeland Ecology and Watershed Management with a minor in Soil Sciences. I am enthralled with how ecosystems work as a whole. The interaction between soil, water, plants, and organisms is an entangled yet remarkable system. My interest in rangelands is built upon the complexity of range ecosystems and is enforced by my college education and time interning for the University of Wyoming Research and Extension Center. Currently I am a M.S. Candidate at the University of Wyoming in Plant Sciences. My research focusses on germination, establishment, and survival of live plant materials of difficult range reclamation plants. The hope is to improve seed price and availability of desirable reclamation plants. I have been involved in the Society for Range Management for three years as a student member. This year my goal as the YPC Reporter is to increase the communication and knowledge between young professionals in SRM through effective newsletters throughout the year. Hello, my name is Josh Hanson and when I heard rangelands described as “the interaction between plants and animals” in a class during my undergrad at Oregon State University, I was hooked and switched my major to Rangeland Science. I am currently a master’s student in Animal and Range Sciences at Montana State University. My project is focused on grazing first year after the Lodgepole Complex fire and how to best communicate that science to the working land manager. I first attended an SRM annual meeting three years ago competing in Plant ID and URME. I have since gone back to maintain the relationships I have built as an SRM member, as well as make new ones. I was introduced to my major professor at a YPC Bridging the Gap and that is where I developed the relationship that turned into a master’s project. I decided to join YPC because I see a disconnect between agency folks and producers, and would like to voice my opinion on a platform where it can be heard. I have a desire to advocate for production agriculture and this provides me with an opportunity to do that. I first became interested in rangeland science when I was attending Oregon State University studying Animal Science with a focus on beef production. Learning about how cattle can be used to manage and improve rangelands really sparked my interest and provoked me to take more range classes and learn more about range science. I attended my first annual SRM meeting in 2018 in Sparks, NV where I learned more about the society and first learned about Young Professionals Conclave. In Minneapolis, MN I was the 2019 annual SRM meeting intern and was able to get more involved with SRM as well as YPC. I see the need for more young professionals in range as well as building positive connections between producers and agencies. I’m excited to be on the Wildrag task force to be able to help fund YPC’s activity and create beautiful wildrag designs! 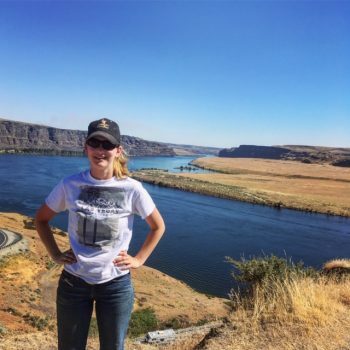 I become interested in rangeland science and management my junior year of college, working as a student research assistant in the Chico State College of Agriculture. After attending my first SRM meeting in 2014 I was hooked, and have been working on the range ever since! I am currently a graduate student in the UC Rangelands lab at UC Davis, and look forward to integrating my interests of rangeland management, livestock production and outreach into a career in cooperative extension. I am excited to continue my involvement in YPC as a member of the Advisory Council and to remain involved in SRM as a young professional. Attending SRM meetings as an undergraduate was an integral aspect of my collegiate career and provided the opportunity to network with professionals and other students, opening the door to internships, jobs and friendships across the country. I hope to assist fellow recent graduates in bridging the gap between student and professional SRM membership. The SRM YPC would like feedback from graduate students and other SRM members in first 5 years of their career to participate and stay involved in Section Meetings and with the Parent Society. We would like to include your information in our YPC newsletters. What sparked your interest in range and inspired you to pursue a career in this field? What is the best advice you can give to undergraduates and those thinking about a career in range? OR a bio about your experiences and current work would be work as well. Please also include a picture of yourselves working in the field. 2nd Annual YPC/Student Conclave “Bridging the Gap” Mentorship Event”! Join YPC and Student Conclave at the 2nd Annual Bridging the Gap! What is “Bridging the Gap”? The objective of this mentorship event is to build more connections between the Student/Young professional membership of SRM and established professionals. Mentees and mentors will participate in a semi-structured activity to facilitate discussion. We have modified our program based on participant feedback, and have new resources available to strengthen networking opportunities between mentees and mentors. Join us for drinks, appetizers and discussion on Tuesday, February 12th from 4-6pm. Everyone is invited to participate in this FREE event courtesy of the Young Professionals and Student Conclaves! 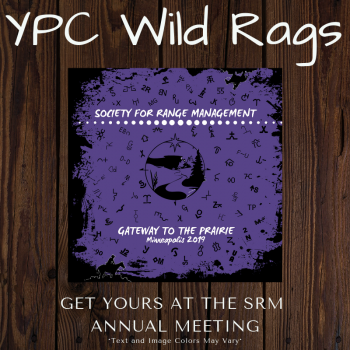 “Don’t forget to get your commemorative Young Professionals Conclave (YPC) Wild Rag! Come destress from the meeting by joining Young Professionals Conclave for the 3rd Annual Range Runners Fun Run held at Loring Park on Monday, February 11th at 5:30 p.m.
Commemorative t-shirts available to those who pre-register, and are first come-first serve to those who register on site at the meeting. The Society for Range Management-Young Professionals Conclave (YPC) awards two (2) $500 travel scholarships to two outstanding young professionals active in range management to assist in paying for attendance at the national Society for Range Management (SRM) Annual Meeting. c) unemployed but recently graduated from a range-related degree or recently left a range-related position. There is no age limit to qualify for these scholarships; however, one must have been working in the range profession (excluding graduate degrees) for 5 years or less. 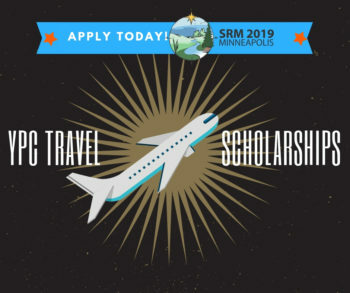 Additionally, recipients of the scholarship must attend both the YPC social and business meeting held at the annual SRM meeting in order to receive the funding. YPC is teaming up with SRMs Leadership Development Committee (LDC) to put-on a Mentoring Program workshop. The workshop will include facilitated break-out sessions where all aspects of a possible mentoring program within SRM will be explored. In addition to the afternoon mentoring workshop, there will be a morning symposium organized by YPC member, Ben Baldwin, entitled, “What skills are needed by our young professionals to surthrive in resources management? Probably not the ones you would have thought.” The week will also include the YPC business meeting, luncheon, and evening social. Please see the mentoring workshop agenda and YPC meeting announcement for more information.